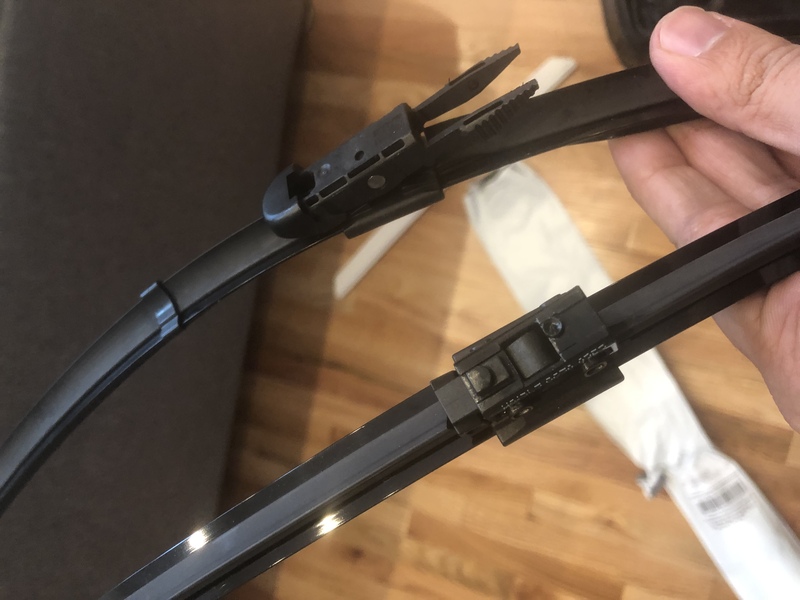 Did i get the wrong ones in the mail from the dealer or am I supposed to move that plastic clip over? if so how do i unlock the clip? you got the wrong one. still. you can mod it. push hard the center metal pin on both wiper. the you swap the thing. the only problem you going to face later is, the metal pin become unsecured, but since it inside the wiper handle cap, it should be ok.